So I turned 17 on Monday. 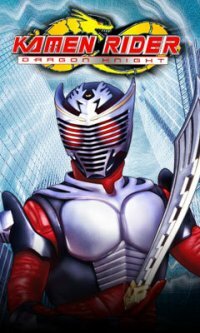 I was a bit bummed over the weekend about not being able to go to Power Morphicon on Satuday because Kamen Rider Dragon Knight had a panel there,showed episode 39-40 and autographs. However on Sunday evening,Steve Wang himself sent me this. Here's a picture of the card itself! However,day 2 of being 17 was terrible...My grandma died. My sister told me my brother in law was talking to my uncle on the phone and he broke the news to her.Shortly after,my daddy called me and told me too.She was supposedly having surgery this week and then...boom. My last day of 16...I got an awesome early B-Day present...Day 1 of 17 I go to Friendly's and a thrift store...Day 2 my Abuelita dies. Ouch,this is going to be rough.I'm more worried about my daddy because now both his parents have passed away. I start school next week.And I have the next 2 days off plus the weekend...Somewhat kinda dumb but I didn't create the schedule.